The document makes a compelling argument in favor of the Wheaton Park District acquiring the property, as oppossed to the property being sold to commercial developers. 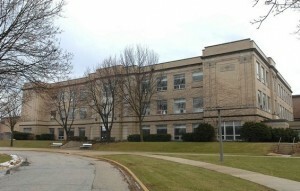 The property, located between Naperville Road and Main Street, on the north-side of Roosevelt Road in Wheaton, is currently owned by School District 200 (Wheaton-Warrenville). If the property was developed commercially, it would equate to additional tax revenue for the city of Wheaton. In the process, you can bet there would be an increase in traffic congestion along an already busy Roosevelt Road. Though Roosevelt Road is generally regarded as a commercialized thoroughfare, the stretch of Roosevelt Road surrounding the old Hubble school is mostly lined with residential properties. The Wheaton Park District plan seems to be a better fit for the immediate community, than building more offices or (*gasp*) retail centers. Have a look at the document (in pdf format)… What do you think?